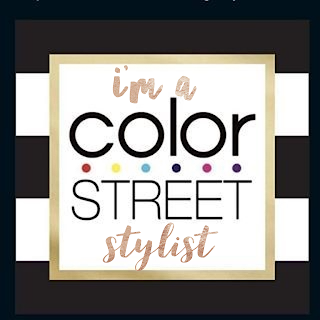 Over the holiday weekend, I attended the wedding of my high school friend Carolyn and her sweetheart Gossett in Greenwich, CT. 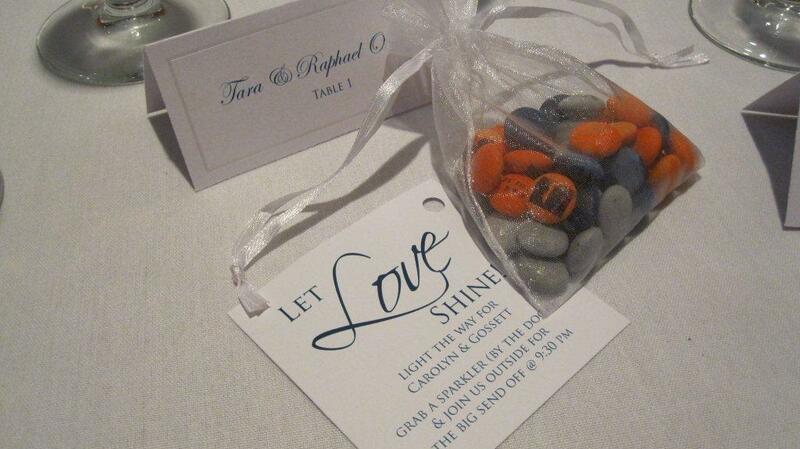 Since the groom is a big Mets fan, the color theme was orange, which carried over from their invites, boutonnieres, bouquets, favors and table settings. 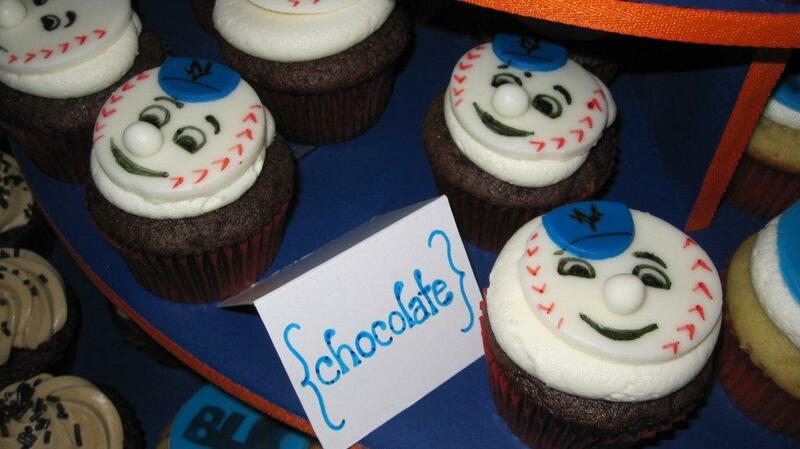 Even Mr. Met cupcakes with the mascot's face appearing in just some of the fondant icing in their cupcake tower. 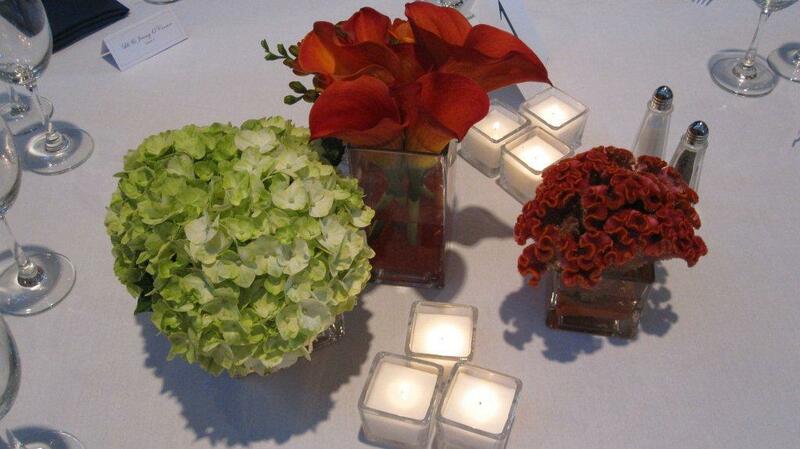 If you're ever planning a wedding in the tri-state area, be sure and book NYC Swing. 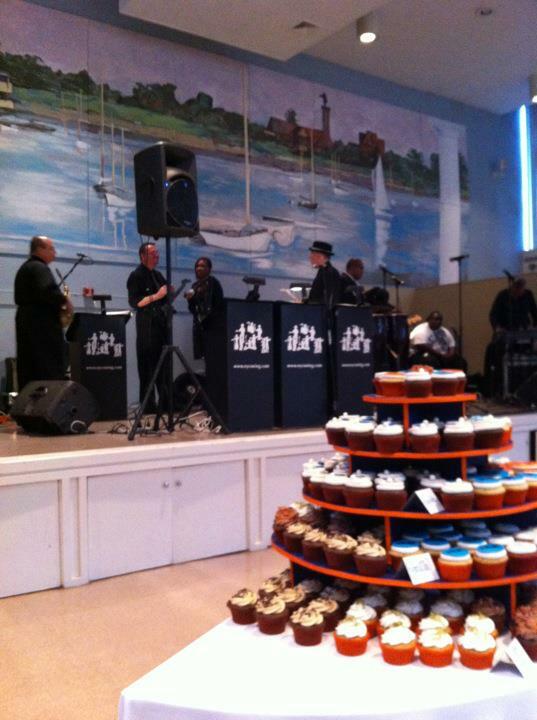 It was literally the best wedding band ever, mixing blues, hip-hop, rap and pop. Here's a fun clip from the dance floor. Instead of throwing rice, flower petals or blowing bubbles, this wedding had a fun twist where everyone grabbed large sparklers for a grand send-off. 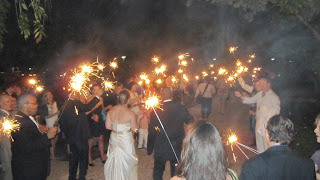 The sparks created a flaming walkway for the new couple to walk through as they exited at the end of the joyous evening.